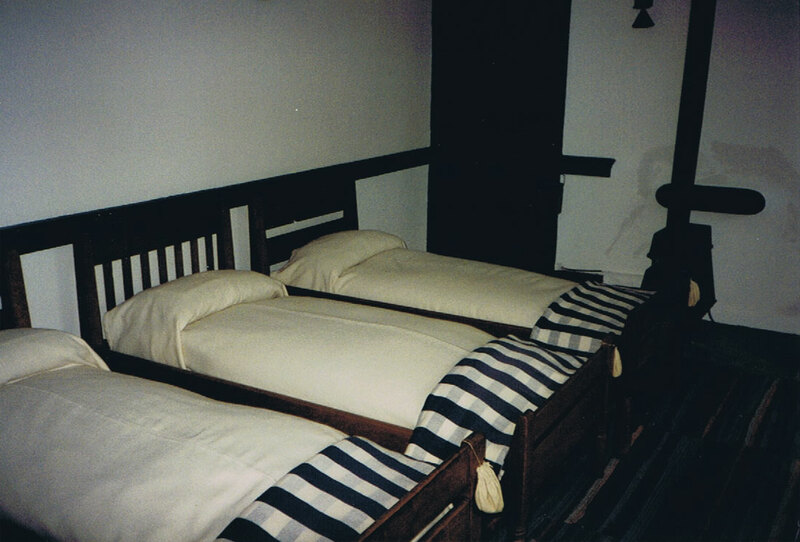 These photos were taken in September 1997 at the Shaker Village of Pleasant Hill near Harrodsburg, Kentucky. 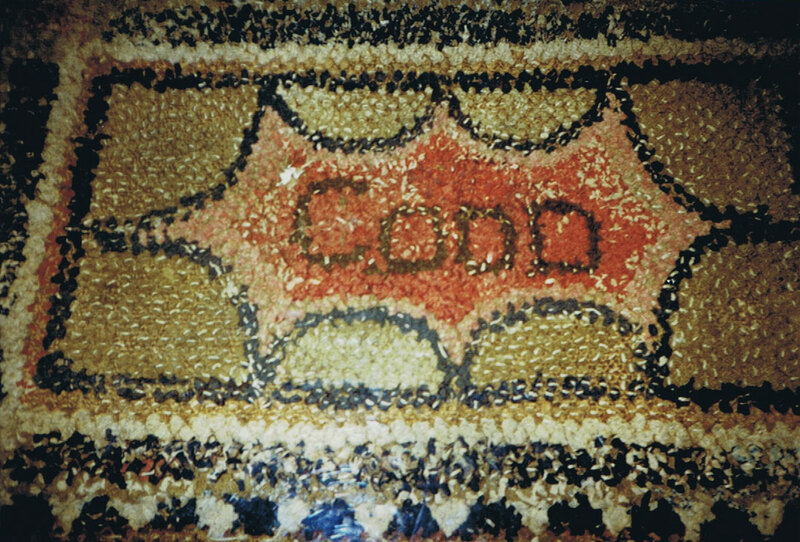 The following text was transcribed from photos taken of the exhibit. The stem of the traditional hemp plant contains the fiber, so it is grown to produce more stem and fewer leaves. This is achieved through a combination of selective breeding and growing conditions — fiber hemp plants are grown much closer together, to produce taller, straighter plants. Valuable as a source for rope and bagging, hemp assumed importance as a crop in Kentucky in the 1790s. The cotton industry created great demand for hemp in the mid-19th century. If cotton was not wrapped in quality hemp bagging and bound with hemp rope, it was not fit for market. The cotton growers required $150 worth of hemp bagging and rope for every 120 bales of cotton ginned. In 1840, 1,348,000 bales of cotton were produced. By 1860, almost 4 times that amount — 4,971,183 bales were produced, dramatically increasing the demand for hemp bagging and bale rope. With the Civil War came the loss of Kentucky hemp’s great cotton market in the South. Hemp growing never recovered. As the steam powered sea-going vessels replaced sailing ships, demand for hemp rope declined sharply. Cotton growers began to use iron bale ties instead of bagging, and imported fiber competed for the shrinking market. 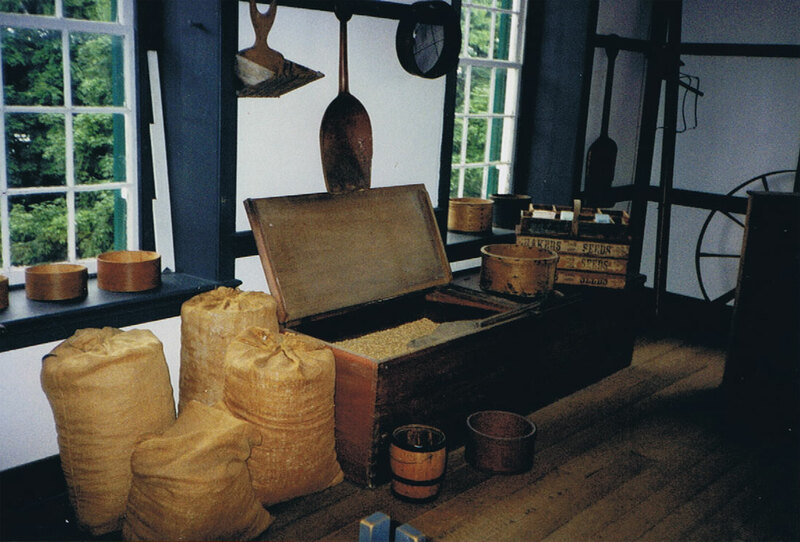 In lieu of selling hemp products, Pleasant Hill Shakers made bagging, rugs, and rope for their own use. The task of providing cloth for an entire community was an integral part of daily work at Pleasant Hill. Coats, bed sheets, socks, blankets, feed sacks, dresses, towels, rope — all of these were a necessary part of everyday life. Until it became practical to purchase textile goods, they were produced within the community. In addition to providing for their own needs, Shaker textile items were manufactured for sale. Not unexpectedly, the Shakers undertook the production of textiles with remarkable efficiency. Labor-saving devices and mechanization were introduced to the process whenever possible. When necessary, cloth of all types was virtually mass-produced, with all members of the community assisting in the work. The Shaker desire for plain dresses and simplicity did not mean dull or drab clothing; bright colors and elegant details were typical. The sisters at Pleasant Hill were noted for their production of colorful silk scarves and fanciful rugs. Over the course of their 100 year history, Pleasant Hill Shakers adapted their textile industry to changes in the economy, technology, and fashion, as well as changes within their own community. As in all things, they aspired to remain uniquely Shaker. Brethren harvested acres of rye, oats, barley, tobacco, hemp, and flax. 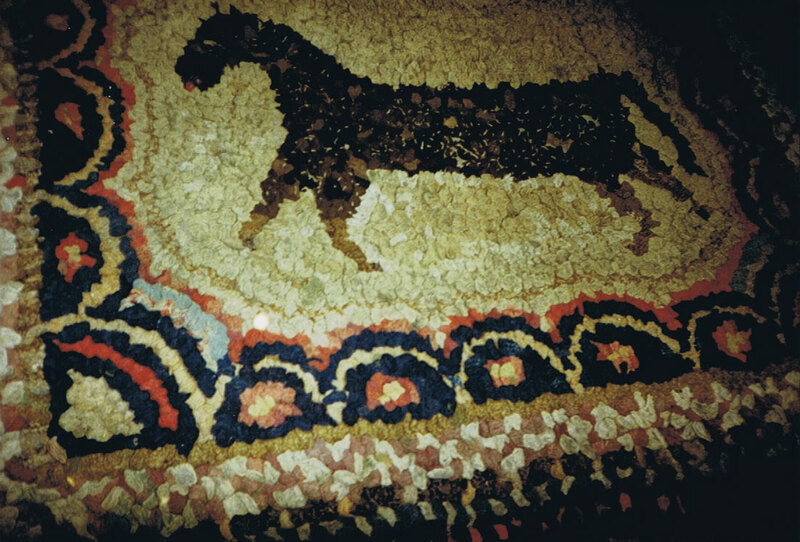 They kept large herds of purebred livestock, constructed buildings, and made furniture. 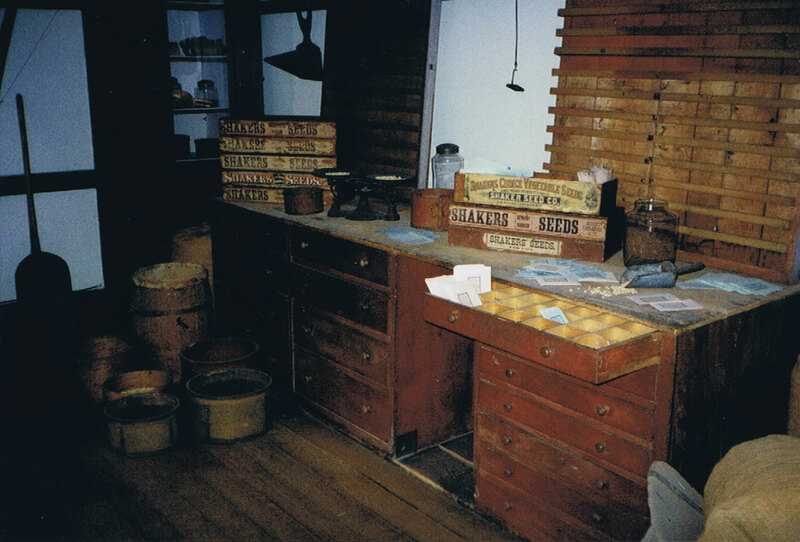 They worked the shops, produced tinware, tanned leather for making shoes and other leather goods, and tended the milk. Flat brooms, garden seeds, and coopersware were listed among the inventories of items hauled to warehouses at Shaker Landing. These were carried by wagon to local markets, shipped to down-river cities, and peddled in every bend and bayou. In addition to household duties, sisters spun and wove linen, wool, and silk. They ran poultry houses and dairies, painted dwelling interiors, raised vegetables and herbs, and sold excess of their labor: preserves, straw bonnets, fancy mattresses, carpets, butter, cheese, and cloth.